But it can be very frustrating when you can't find something you know you already have! You need a simple system for organizing pedigree charts, family group records, documents, notes and research tools so that you can quickly find them again. 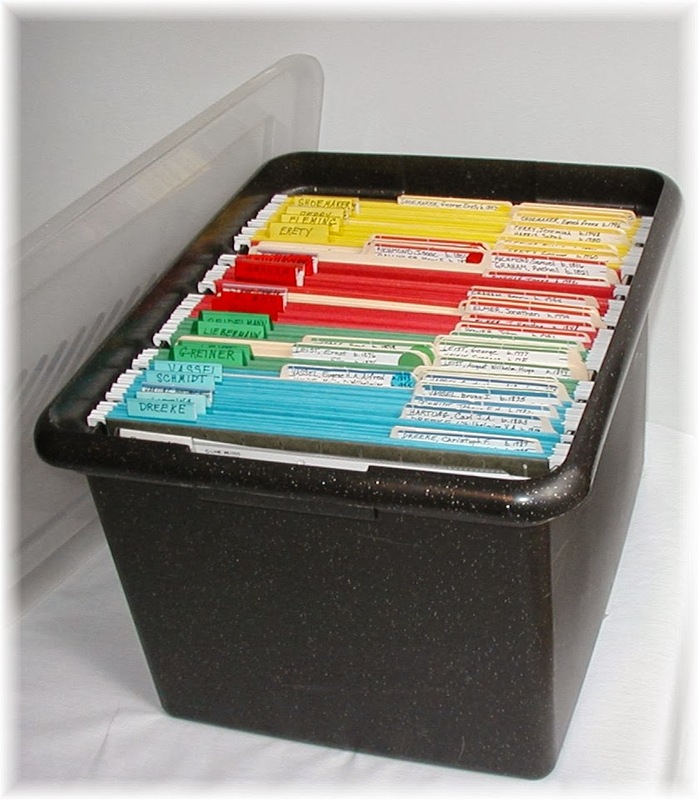 The FamilyRoots Organizer System is easy to understand, simple to set up, and simple to use. Here are the instructions and images which will help you to get your genealogy organized. See the TABS above for instructions. The instructions are also available at Get Organized Using the FamilyRoots Organizer Color-Coding System webinar from LegacyFamilyTree webinars. We set up two kinds of boxes: 1) Family Surname and Holding Files box 2) Records organized by locality. On the left side put hanging folders with tabs for the 16 surnames of your great great grandparents. On the right side you make files for each of these families. In the center section you make files for the brothers and sisters in these families. The Localities Box is for information found that pertains to the counties and states where you are doing research, such as cemetery records and church records. Welcome to the world of well-organized genealogy and family history records!